I have truly fallen off the “blogging wagon”. Too much life going on, but I’m back and even though I’m away for the winter I have a huge bag of books to review. 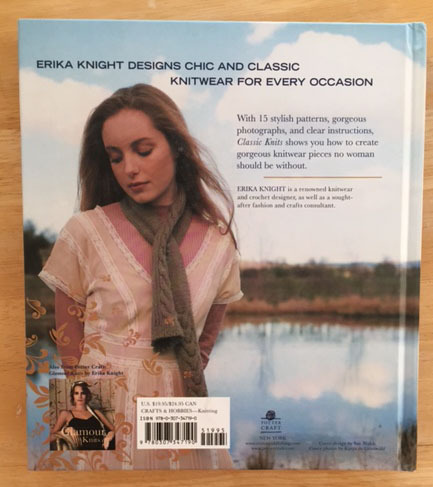 Classic Knits by Erika Knight (published by Potter Crafts in 2006) was an easy book. 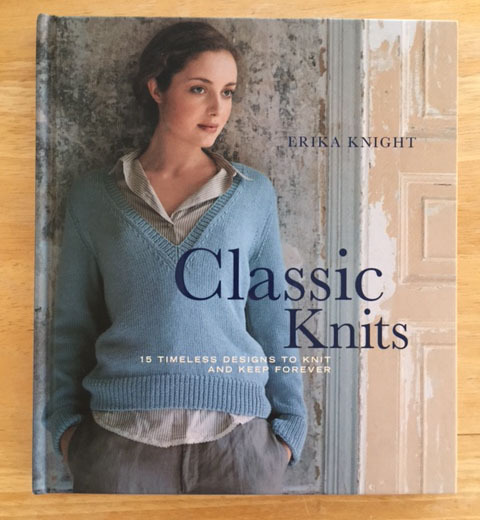 Erika says the book is “a contemporary collection of knitted wardrobe basics”. 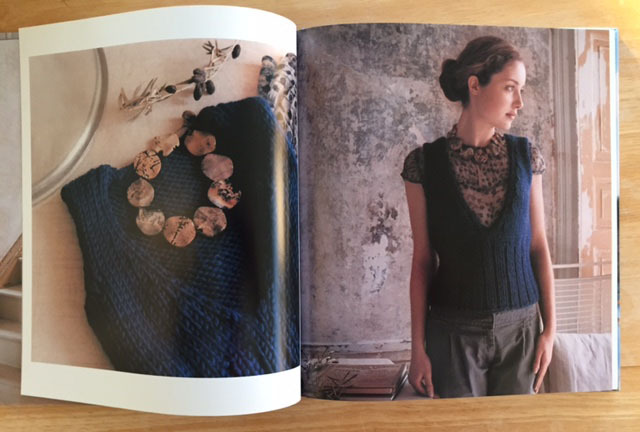 In other words – a book of patterns. The two-page intro is written in something like 24-point type – not too much to say about the book. 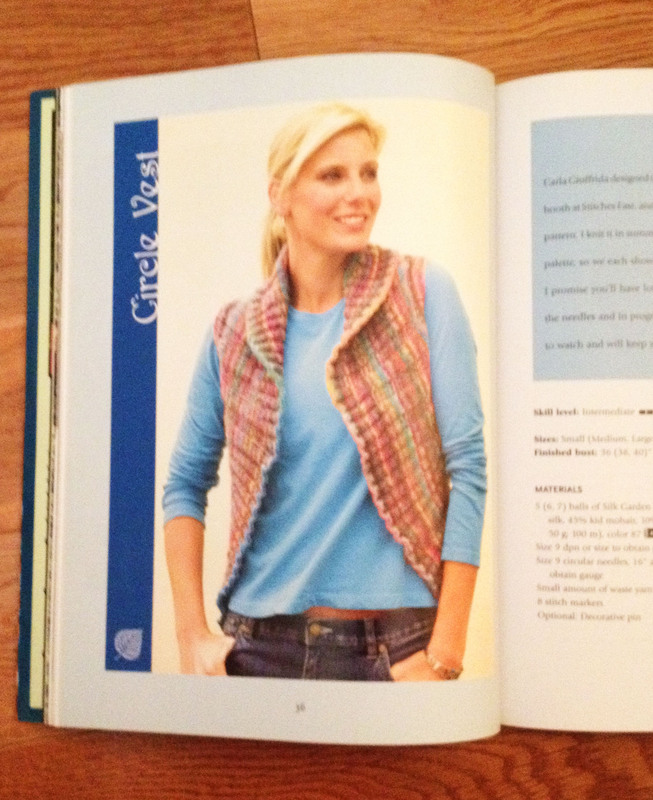 As everyone knows how I feel about pattern books or books of patterns, it is pretty easy to give this one: thumbs down. On a positive note, the book has great styling and nice photography. There are only 15 projects. The first 40 pages have color pages showing the designs in color. 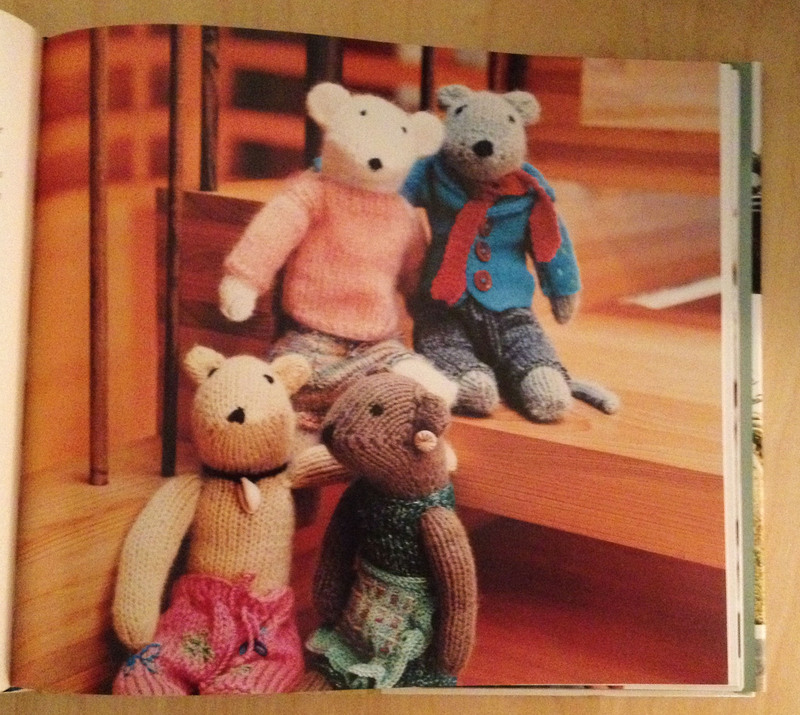 The rest of the book – the instructions are all in black and white with photos in a sort of washed gray. 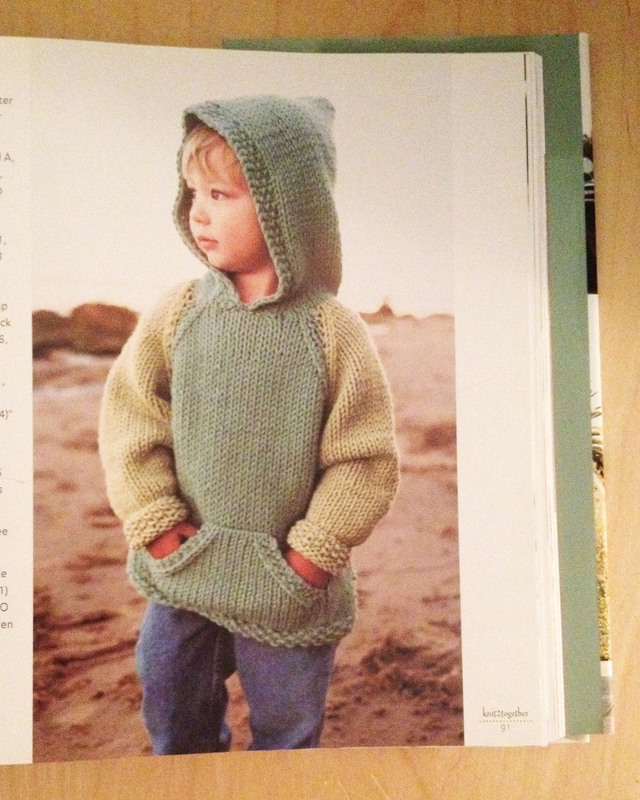 The patterns have inches and centimeters for sizing and do have an extensive size range. There are no diagrams or schematic drawing. Bottom line: If you want a book of really simple basic projects – this is a good book. Looks like it is out-of-print, but is available through Amazon. 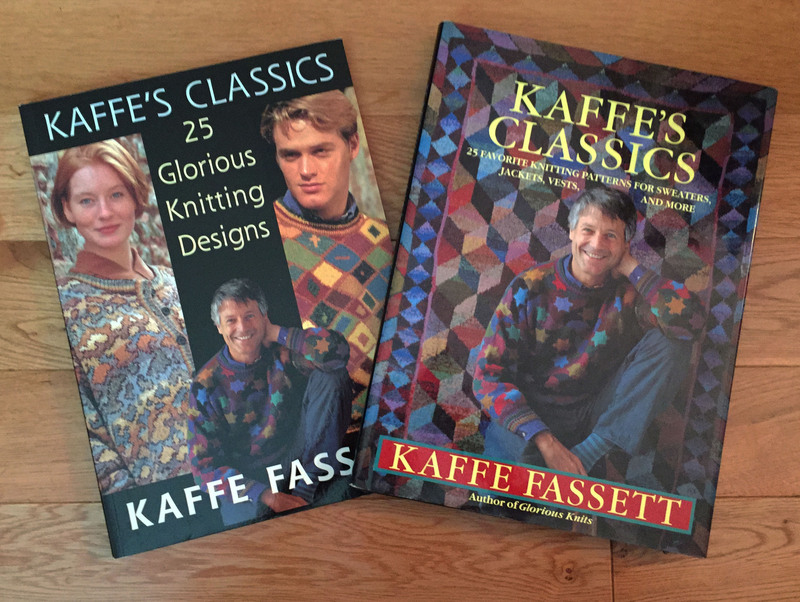 Kaffe’s Classics – soft and hard cover – Got both! I’ve done it again – duplicate books. This was more of an honest mistake. I think I might have gotten the soft cover as an editorial copy at some point and already had the hardcover book. I tried to give one to a friend, but she had already ordered it online. I’d definitely like to keep one. It’s kind of a toss up. The hardback weighs more, but it’s ultimately more stable. 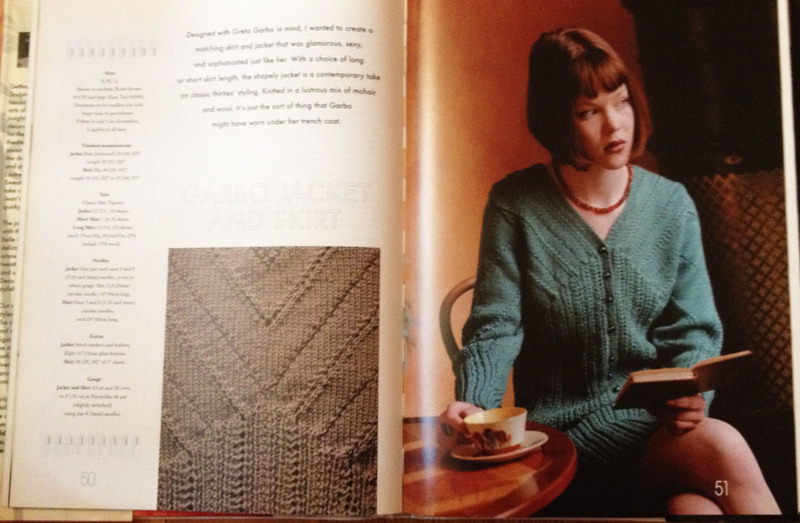 Also, I do love the hardback cover with the pic of Kaffe (on the right above) and the famous tumbling blocks throw. The soft cover version is off the shelf! It would be a thumbs up for Kaffe’s Classics – if only for sentimental reasons. I’ve known Kaffe for many years. Actually since before he was “a knitting rock star” and simply a friend of my BFF, Sally Harding. Sally said that I should take a workshop from her friend who turned out to be Kaffe. I think that might have been in the mid ’80s. The rest is history! I hadn’t looked at any of Kaffe’s books in a long time. I got an email from a friend who was looking for the Houses design so I looked through my books and found both copies. It seemed like great fodder for my blog. The Windows Coat makes a beautiful spread. The coat is definitely a bit late ’80s/early ’90s styling, but what an amazing piece of work! Color, color! 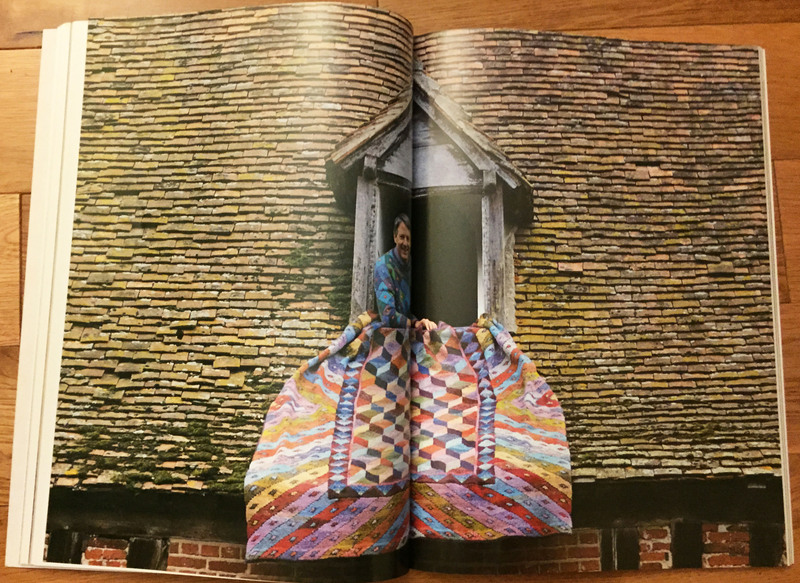 Beautiful garments that spell Kaffe Fassett. Who could not love them! A beautiful duo. Geometric and colorful. Pure Kaffe and truly classics. 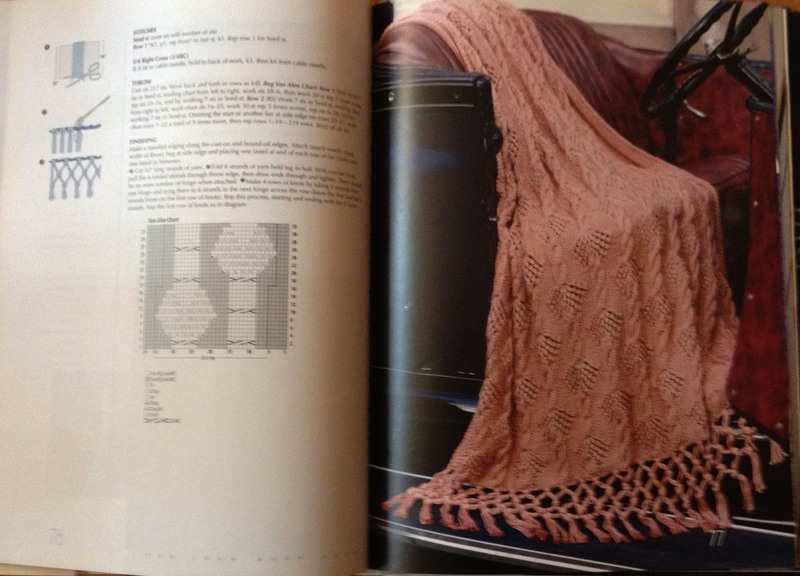 Here’s the chart for the Lattice Pullover. 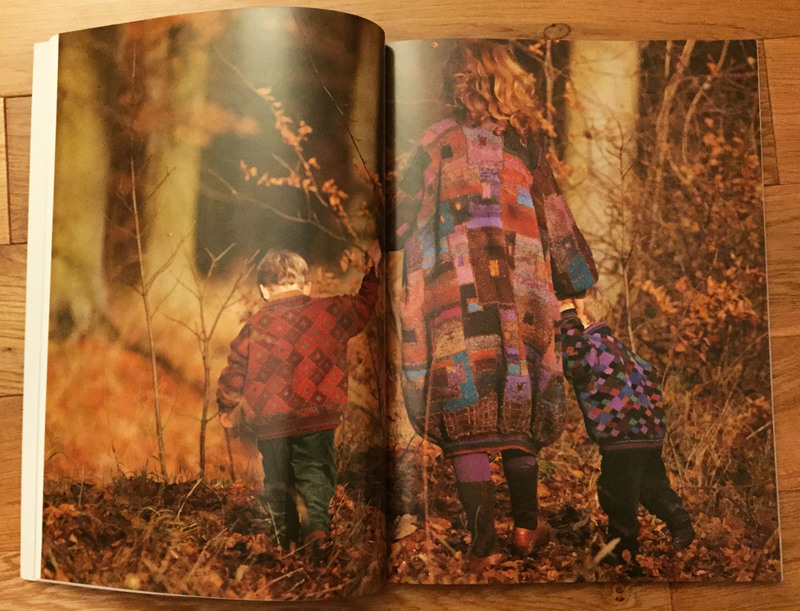 A two-page spread. That’s where the “rubber meets the road”. 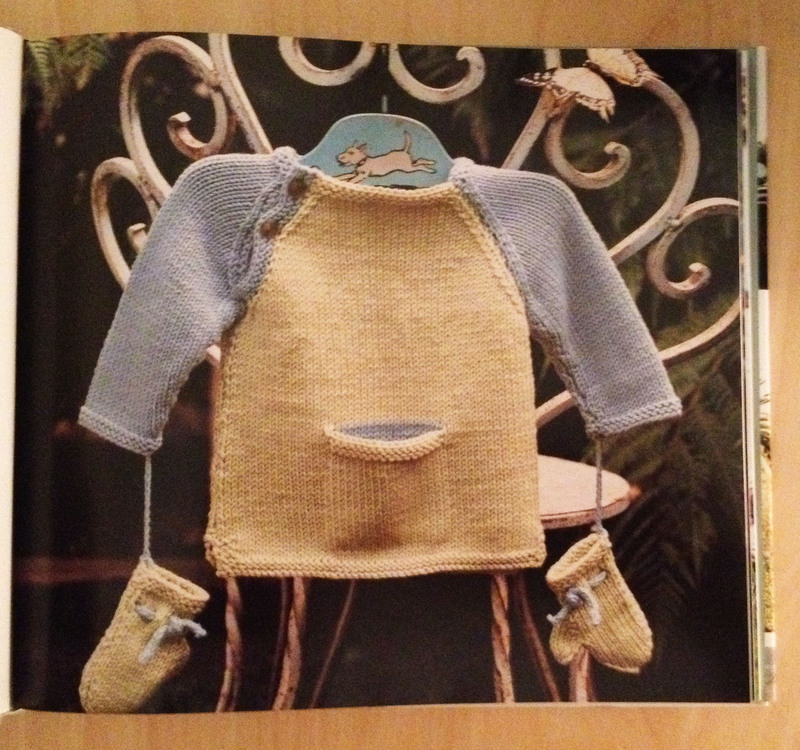 I call this a knitting nightmare or a test of patience. 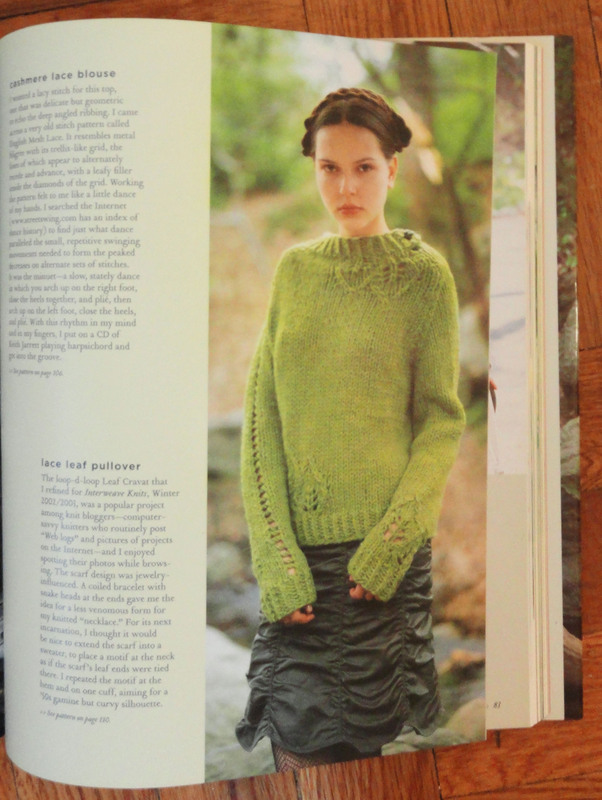 Obviously there are knitters who love a challenge, but sadly this kind of knitting isn’t my favorite. I wanted to save the best for last. I love the tumbling blocks design that has been knocked off many times in many ways. Another “Kaffe Challenge”. 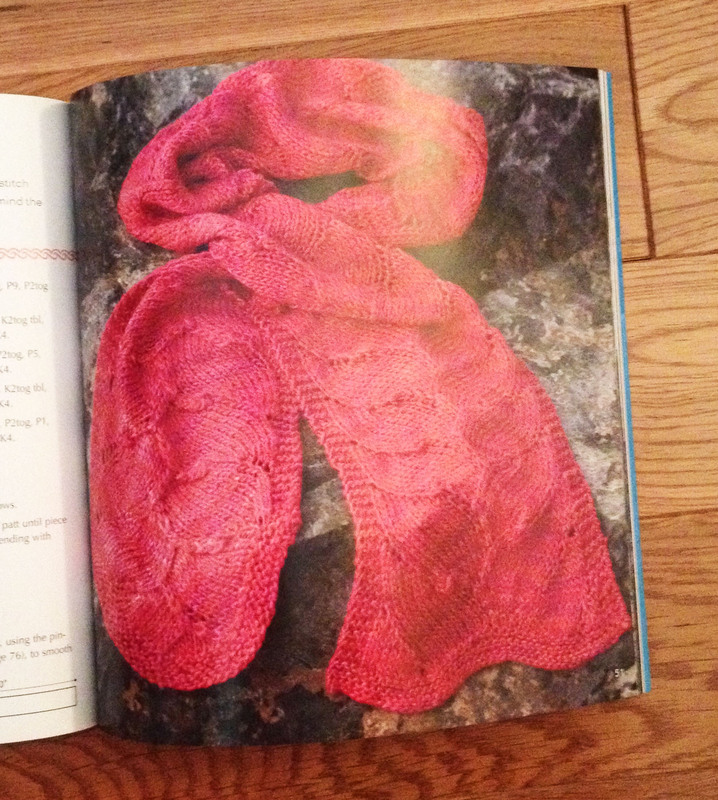 Knitters who love color work knitting will have a field day with this book. 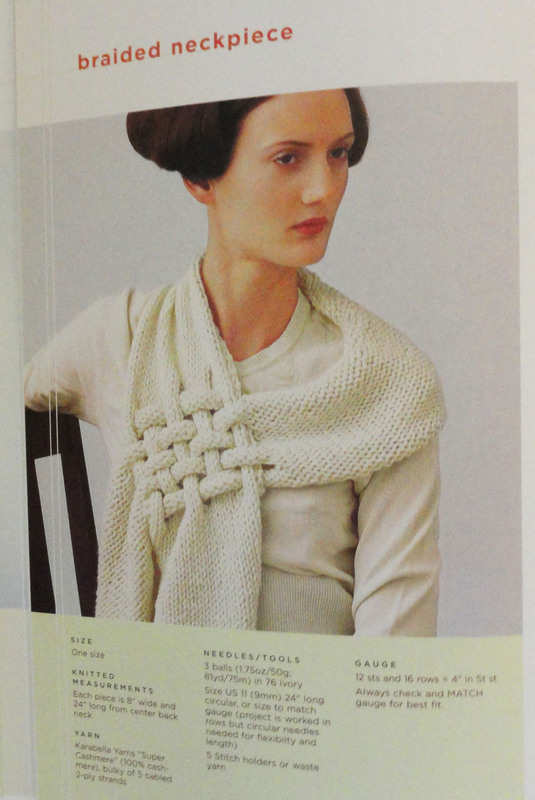 I love the photos and the designs, but I might not get around to knitting anything in this lifetime! 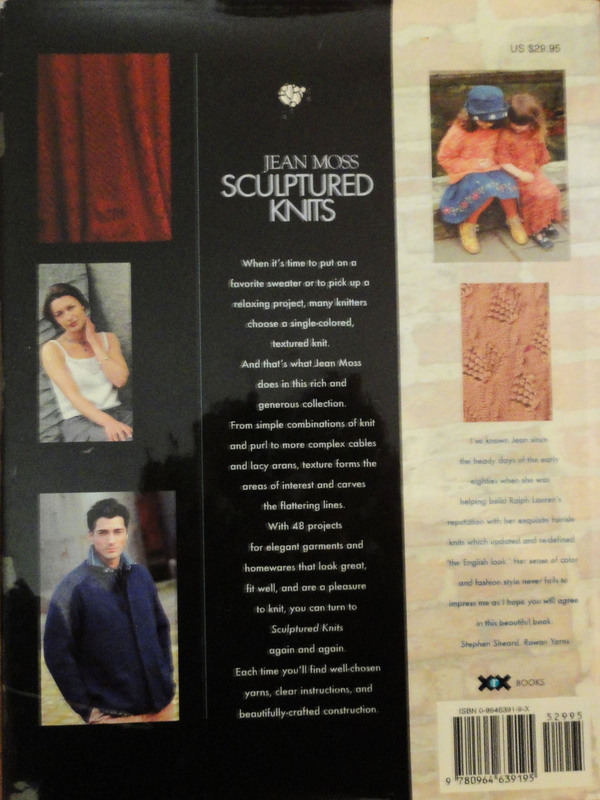 Thought I would continue along with my quest to rid my library of books of patterns and review Sculptured Knits by Jean Moss (published in 1999 by XRX Books). This book is out-of-print, but used copies can be found on Amazon. I’m giving this a big – Thumbs Down. Before I’ve completely lost you my dear readers, let me tell you a bit about the book and the author. This is a book of 48 designs for women, men, kids and some home decor pieces. It is divided into decorative arts of the 20th century chapters, although I found it a bit confusing to go back and try to find a certain pattern as the chapters for me were not clearly defined. The sections are: Belle Epoque, Art Deco, Pop Art and Into the Millennium. 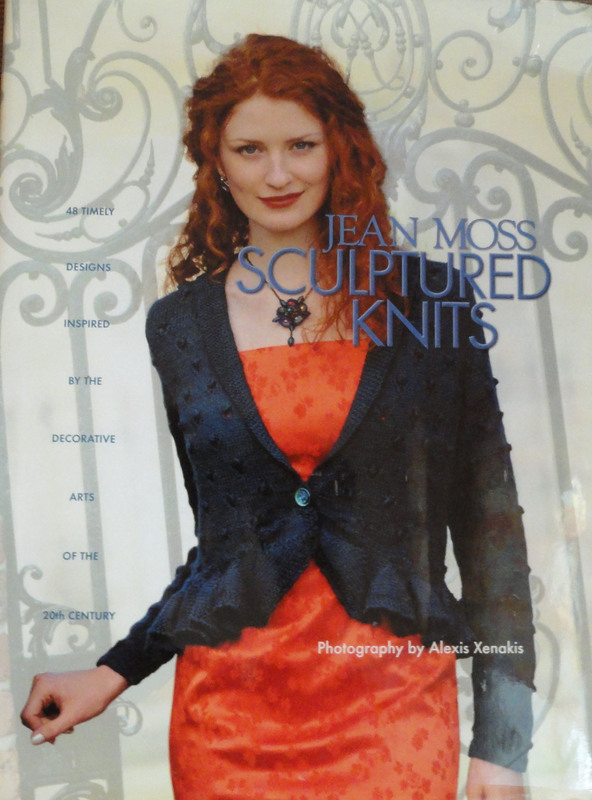 One important factor that I never realized until I read Jean’s intro is that all the designs in the book are created in one color using textural stitches. Wow! How could I have missed that as that’s by far my favored knitting style. 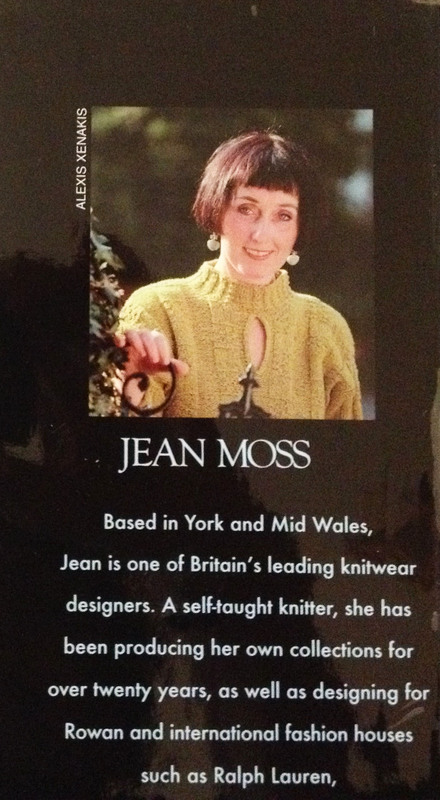 Jean Moss lives in York and Mid Wales (or at least she did at the time of the book). She’s designed for Rowan and many international name designers. Jean is a very talented lady. She also teaches and did run some travel excursions. 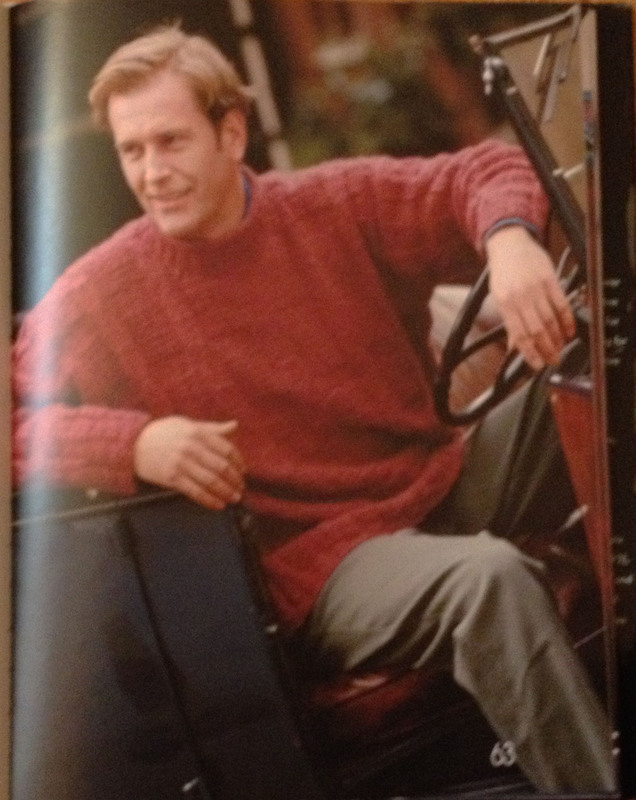 My favorite patterns were the men’s sweaters and home decor pieces. XRX did a great job with the technical aspects of the book which is no surprise as they are noted for good techniques. I love the charted stitch patterns, schematic drawings and illustrations. A couple of the kids/baby projects were done in the variegated Colinette Boucle, but for most were done in basic yarns that could be easily substituted. This set has a nice jacket, but the mid-calf skirt made it a bit like a retro costume. What did I not like about the book? 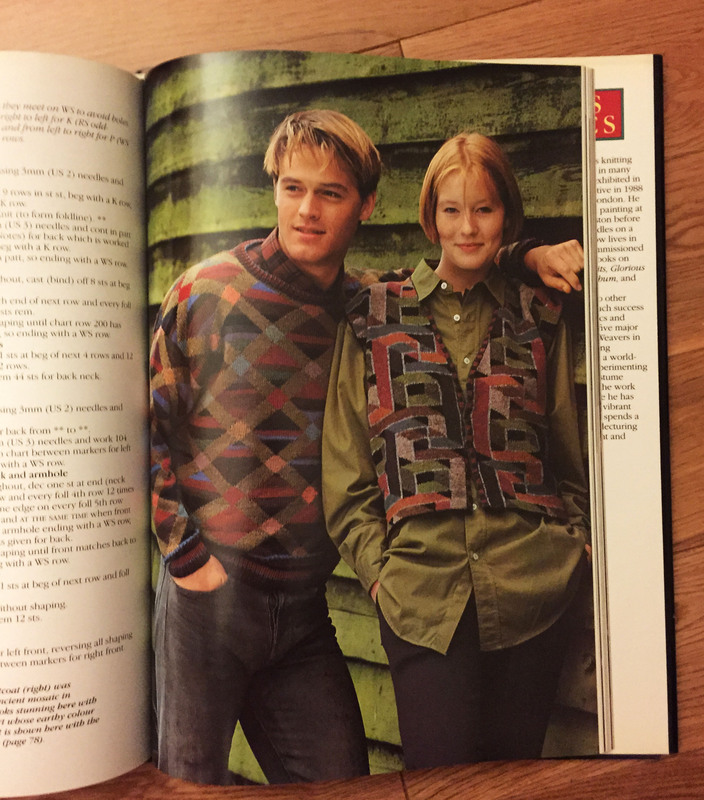 Some of the sweaters were a bit dated – some longish and had an ’80s vibe. Generally though not a bad book. 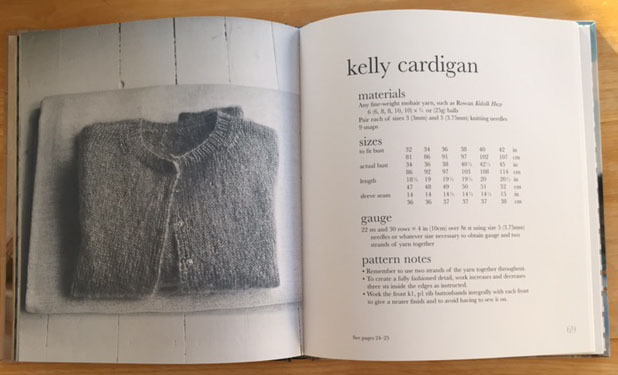 I think the main reason I’m not planning to keep the book is that I probably wouldn’t knit any of the designs and I’m trying to be ruthless about what gets kept and what goes. 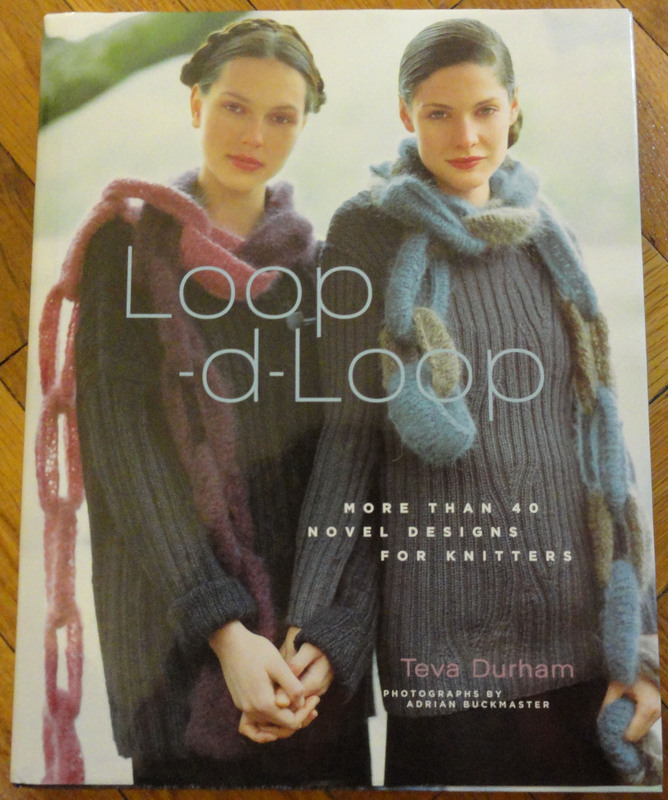 My next book is Loop-d-Loop by Teva Durham. It’s also a book by Melanie Falick and published in 2005. 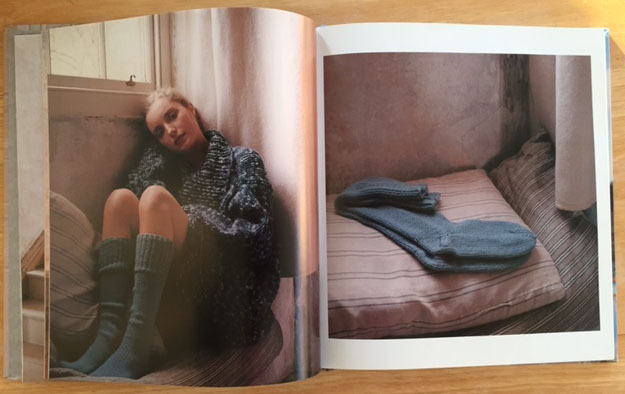 In full disclosure, I know and worked with Teva and also know the photographer of this book – Adrian Buckmaster. They are both extremely talented – Teva in design and use of yarns and Adrian in photography. I’m a fan of both of them. 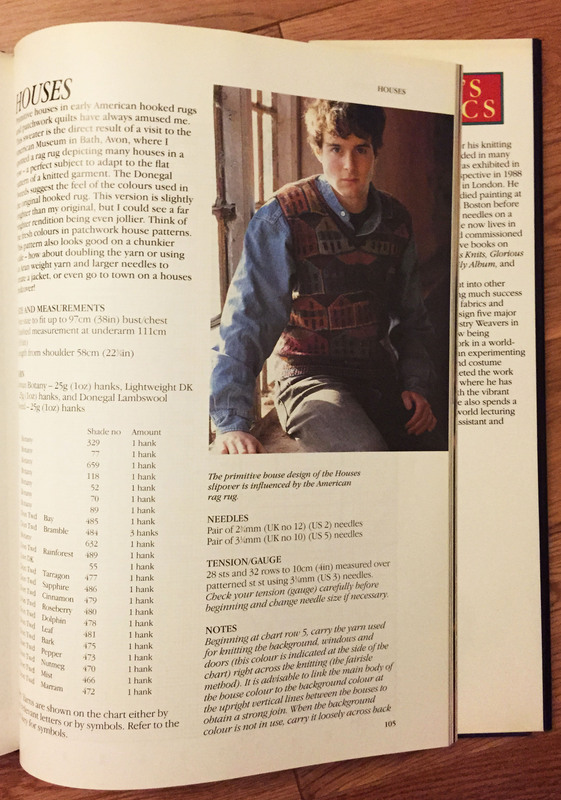 By the way, if you love the quirky styles and interesting designs in the book – it’s out of print, but you can get copies – including mine! I’m giving this book – thumbs down. Why you ask? It’s a beautifully created book – I would expect nothing less from Melanie. It has a well-thought out layout and interesting photos. My problem is that none of the projects appeal to me. They are a little over the top and slightly out of fashion. I’m being ruthless in my quest to reduce my overflowing library! 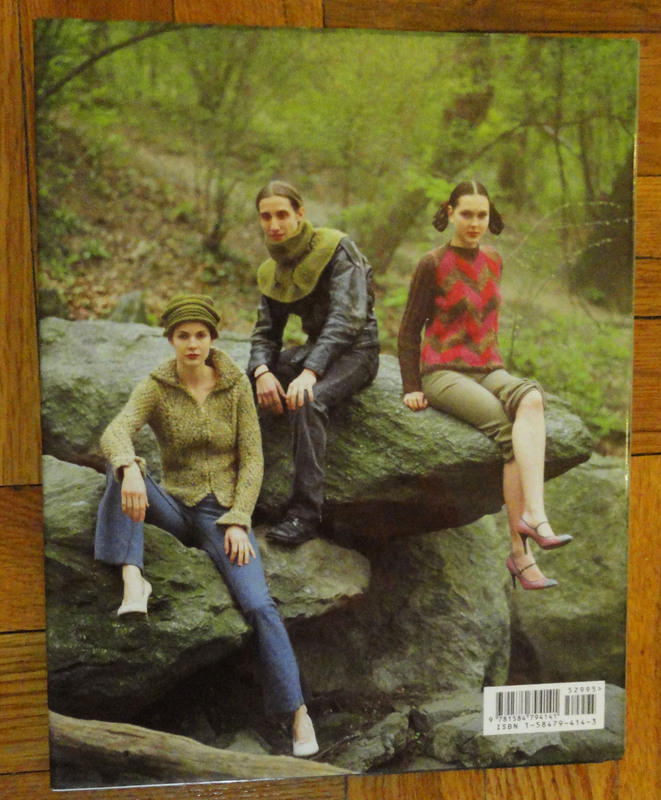 Below is a sweater that Teva original did for Interweave Knits that she is updated. 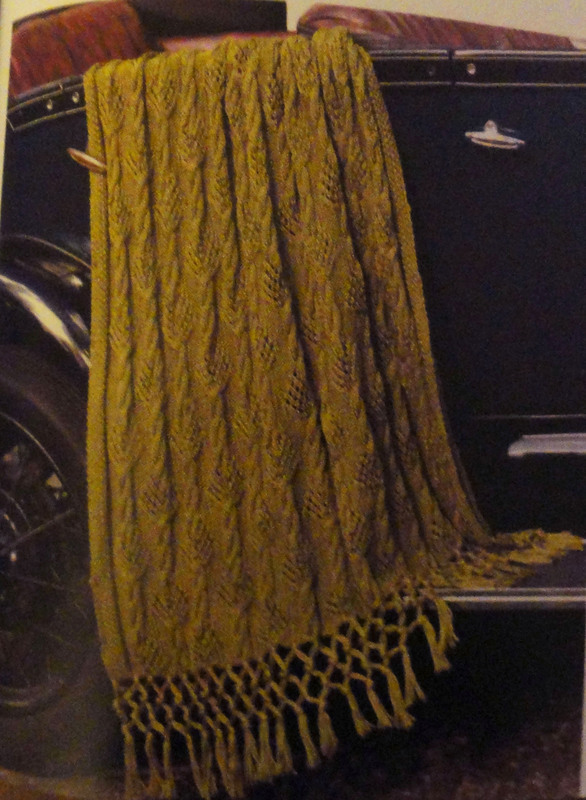 She says it was very popular and I do agree that it looks like an easy one to knit and is one that would look good with jeans or something more dressed up. Teva does add clever details to all her projects and this is clearly one of her signature look. The last photo is a clever scarf and I really like the braided effect. This doesn’t mean I’m making this book a “keeper”. I just wanted to end with a positive spin! I’ve been singing “And Another One Bits the Dust” all morning. What does that tell you about this book? I didn’t like it, but I didn’t hate it. It has a few redeeming qualities, but not enough to earn a spot on the Nancy J Thomas bookshelf! Final answer: Thumbs Down. This book is not going back on my shelf. Thank goodness! I’m making headway (or slight headway). Let’s start with the back cover. Take a look at the “bloomers” on the right called Witches Britches are probably the worst pattern in the book. Who would wear them? The suit on the left is OK, but I’ll be honest that it won’t fit my lifestyle or the many of the people that I know. I should talk a little about why it’s an interesting, well-formed book. First lets start with Melanie Fallick. She doesn’t publish bad books. Knit 2 Tog has rhyme and reason for being. It has fun essays by comedian, Tracey Ullman. It has good technique info from Mel Clark. The book has tricks and tips throughout. It’s has an understandable layout and decent photos of the projects. 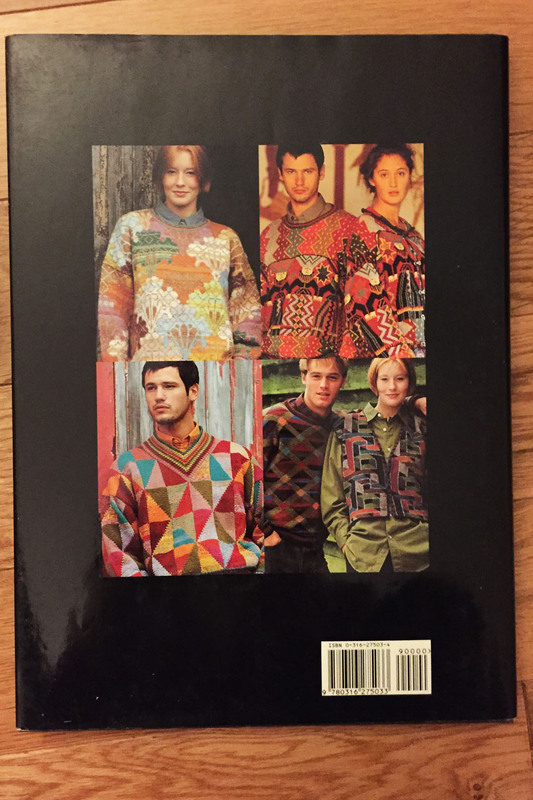 I think the patterns are the book’s downfall. Not so unusual, but a fact. 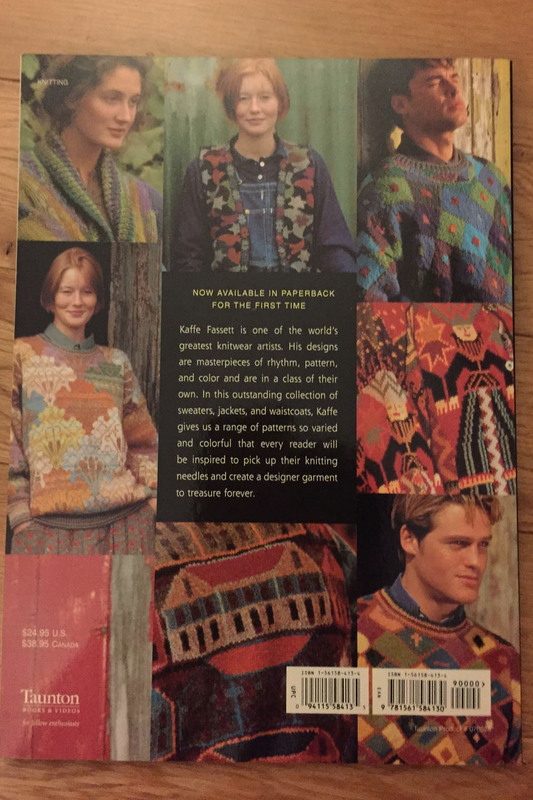 I found two patterns I will most likely copy and knit. Otherwise I shake my head and say – no, no, no. 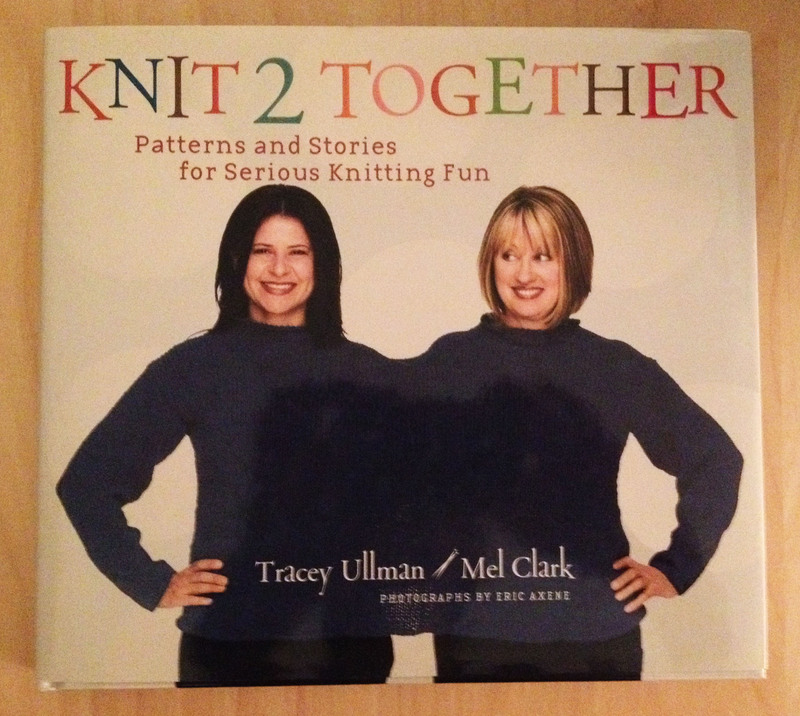 No Knit Two Together to wear with a friend. No Gym Slip Dress in extra fine Merino. No Baby Cape. No Sailor Pants in 100% cotton – Really! 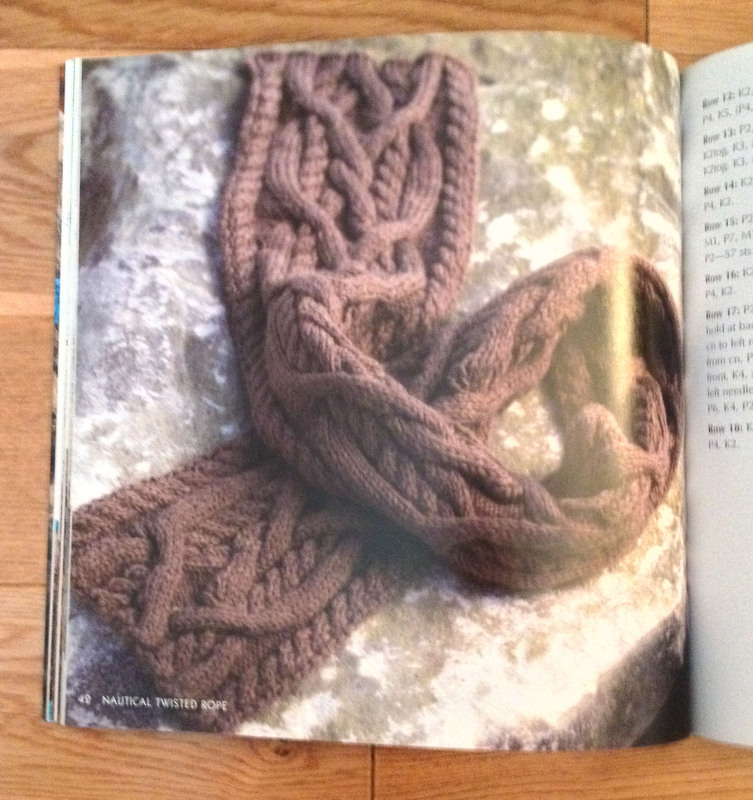 The book ends with Knitting Basics that have small photos in circles (not easy to understand if you are a beginner) of lots of easy techniques. I think other books do it better. Illustrations are better than photos for how-to info. I do like Mel’s Picks for recommended reading. A good list! The the two patterns above are the ones that I like. Both are pretty fast knits on a DK (baby) and Chunky (hoodie) yarns. Below are two additional patterns that I’d rate as a thumbs up. 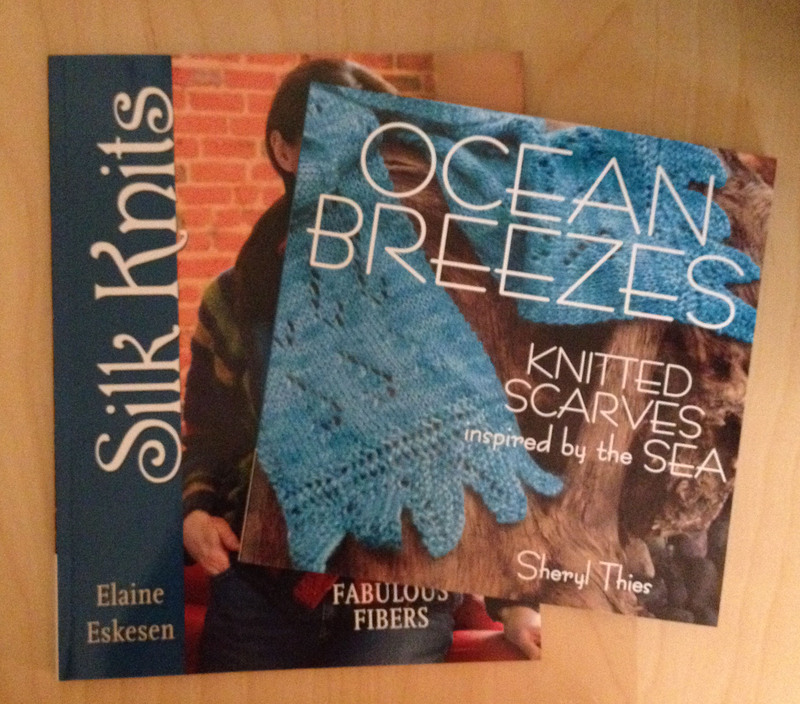 Knitting Books – What was I thinking duo? I was going to do each of these books separately, but a quick review of each made me realize that these are just a couple of books of patterns. I’m disposed to dislike books that are just patterns put together in some form to create a book. 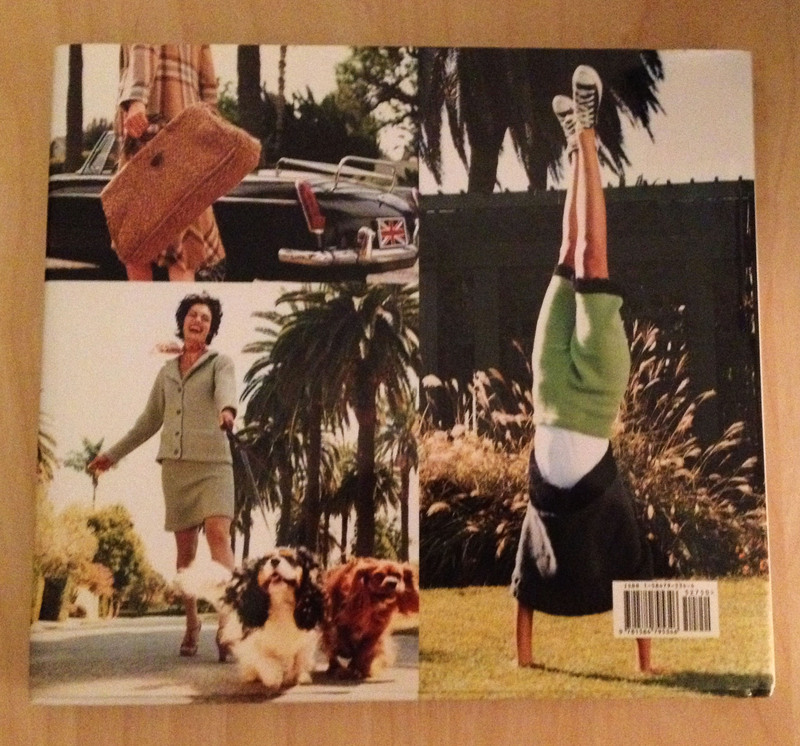 I have lots of magazines that full of patterns, but lets not go there. Once I get a handle on my books, magazines might be next. Are these books staying on my shelf? Thumbs Down. 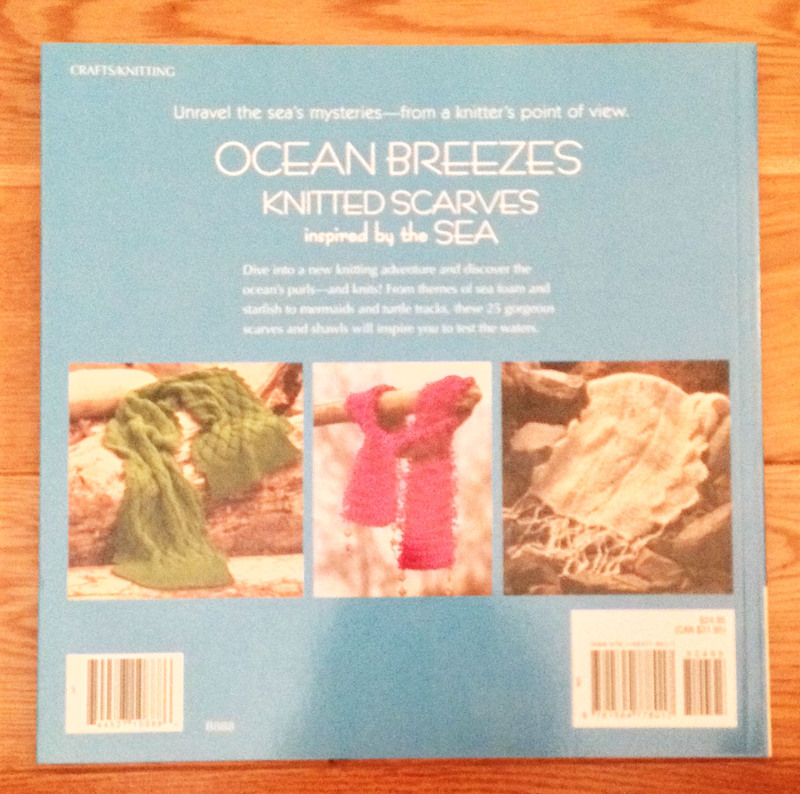 Let’s start with Ocean Breezes – Knitted Scarves inspired by the Sea by Sheryl Thies (published in 2007 by Martingale). The premise is nice and scarves photographed in nature as still-life images is interesting. The scarves are OK. 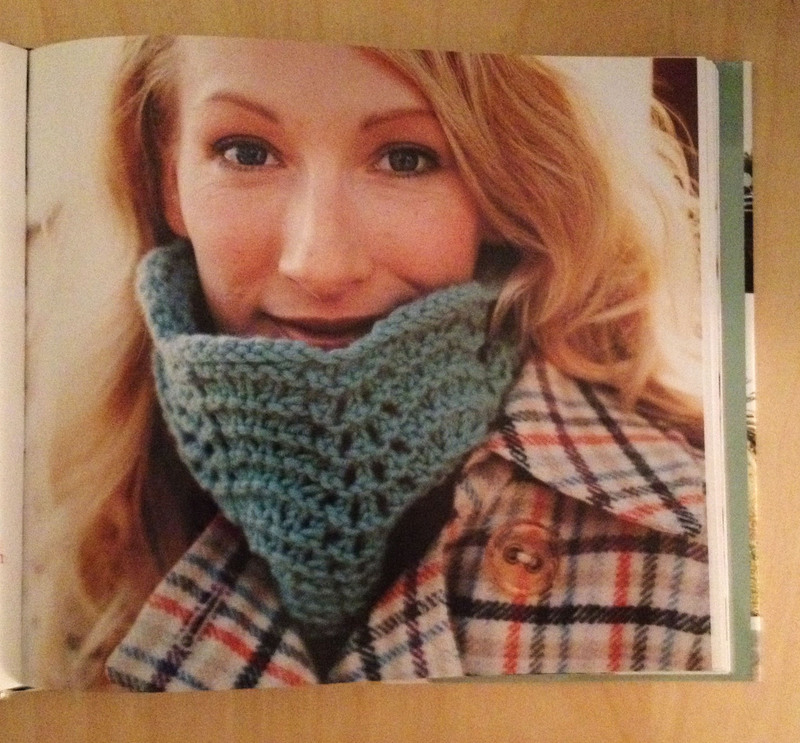 I like the cover scarf – mostly the edging. I also like these two scarves. Does this make keeping this book worthwhile – nah! 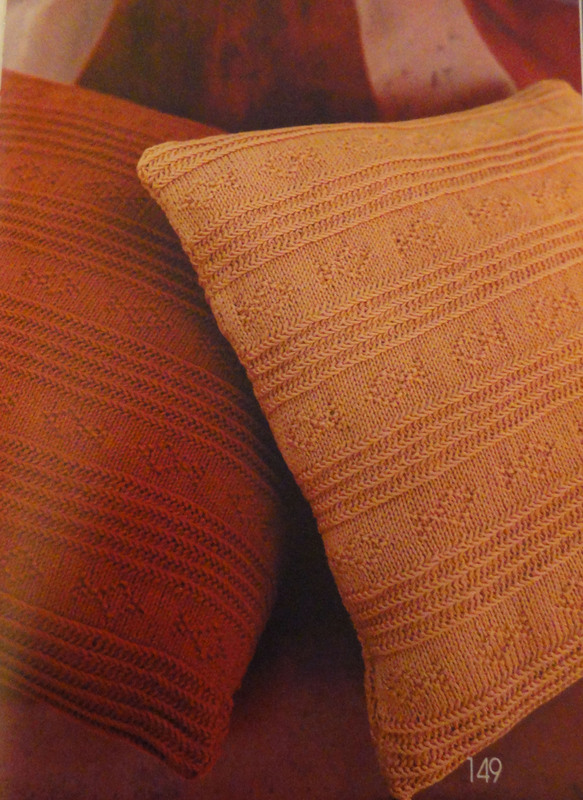 Moving on to Silk Knits – 20 Designs in Fabulous Fibers by Elaine Eskesen (published in 2007 by Martingale). This book has a bit more meat. 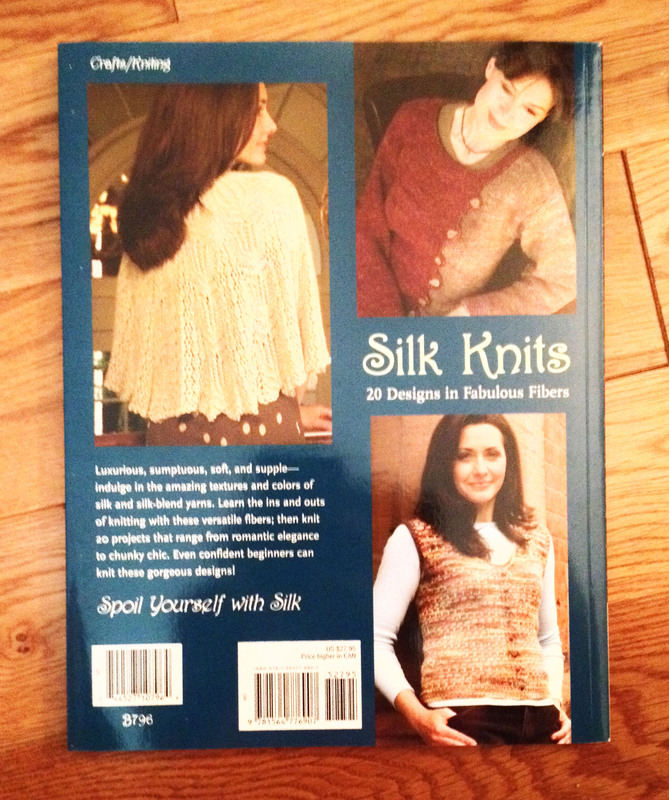 It includes info on working with silk, the types of silk and a history of silk. The big “but” is that as I looked over the patterns, I couldn’t really find patterns that I found very interesting. 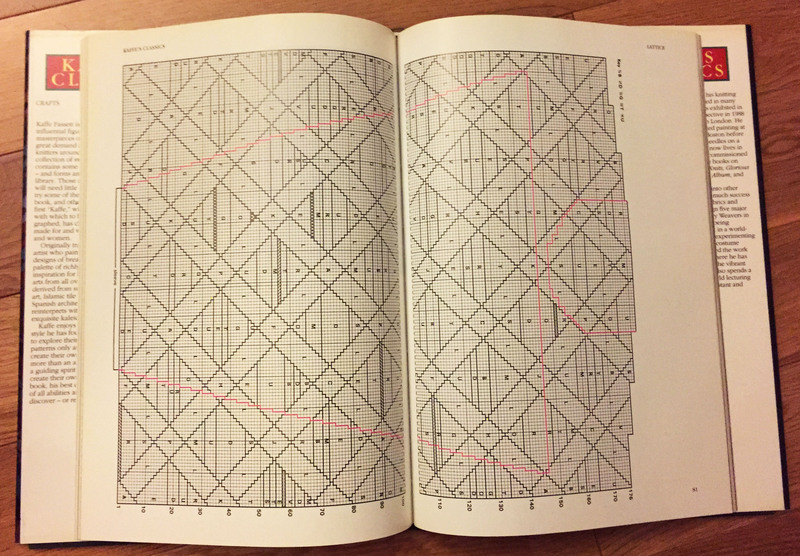 The chapters of the patterns is broken down by season – spring, summer, fall, winter. 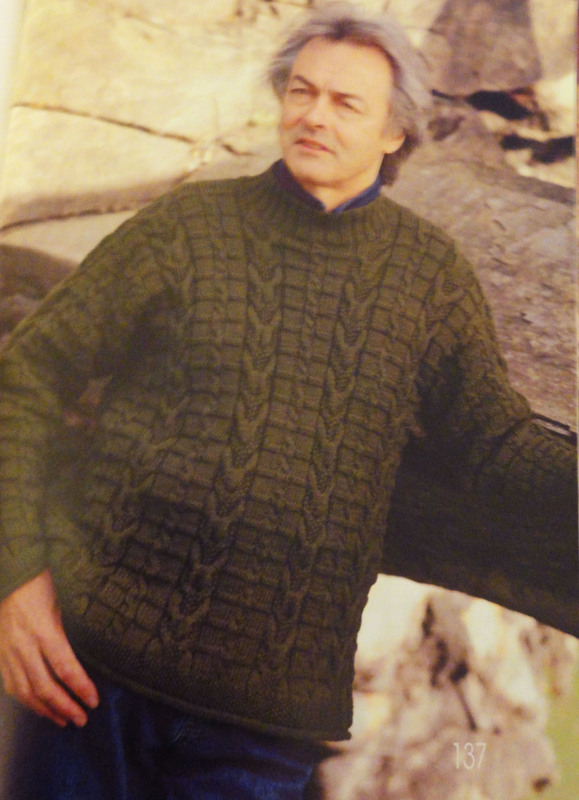 Below is the one pattern that I do like, but not sure I’d make it or have a place to wear it.